Karey White: It's Tomorrow, Friends!!! I've been looking forward to tomorrow for more than a year, and once again, The King's English is hosting the launch party for my new book. Last year I saw friends and family I hadn't seen for so long. I also met new friends. And I expect tomorrow will be the same. Last year, the guest who came the farthest was from Idaho. This year I know of one from Arizona and I've heard rumors of Washington (the state). Last year we served wedding cake. This year it will be an assortment of small treats (and they're so good!!). Last year's book was set in Seattle. This year's is set in Portland. Last year I didn't stand up and speak or read. This year, I am. Last year I wore pants. This year I'm wearing a dress. Last year it was a winter night just before Christmas. This year it's a fall (sort of) afternoon just before a football game. Last year we had t-shirts. This year we have... t-shirts. Last year was a blast. This year will be even blastier. I hope you can come! See you tomorrow. 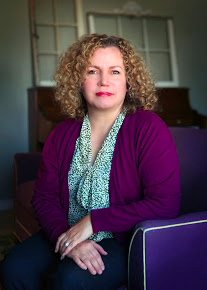 Join Karey White as she reads from and signs her novel My Own Mr. Darcy. After being dragged to the 2005 movie Pride and Prejudice by her mother, sixteen-year-old Elizabeth’s life changes when Matthew Macfadyen’s Mr. Darcy appears on screen. Lizzie falls hard and makes a promise to herself that she will settle for nothing less than her own Mr. Darcy. This ill-advised pledge threatens to ruin any chance of finding true love. Six years later, coerced by her roommate, Elizabeth agrees to give the next interested guy ten dates before she dumps him. That guy is Chad, a kind and thoughtful science teacher and swim coach. While she’s dating Chad, she meets a wealthy bookstore owner named Matt Dawson, who looks and acts like her Mr. Darcy. 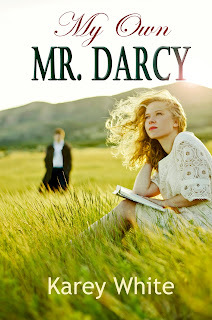 As Elizabeth simultaneously dates a regular guy and the dazzling Mr. Dawson, she’s forced to re-evaluate what it was she loved about Mr. Darcy in the first place. Congratulations on your fun event! We loved having you at The King's English!